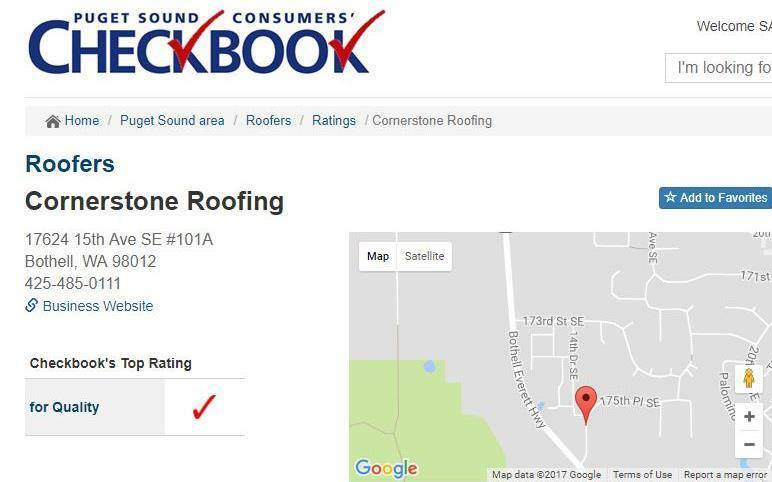 Consumers' Checkbook 2017 Top Rating for Quality - Cornerstone Roofing, Inc.
Puget Sound Consumers’ Checkbook has released their triennial Ratings of Roofers in their Spring/ Summer 2017 Magazine! 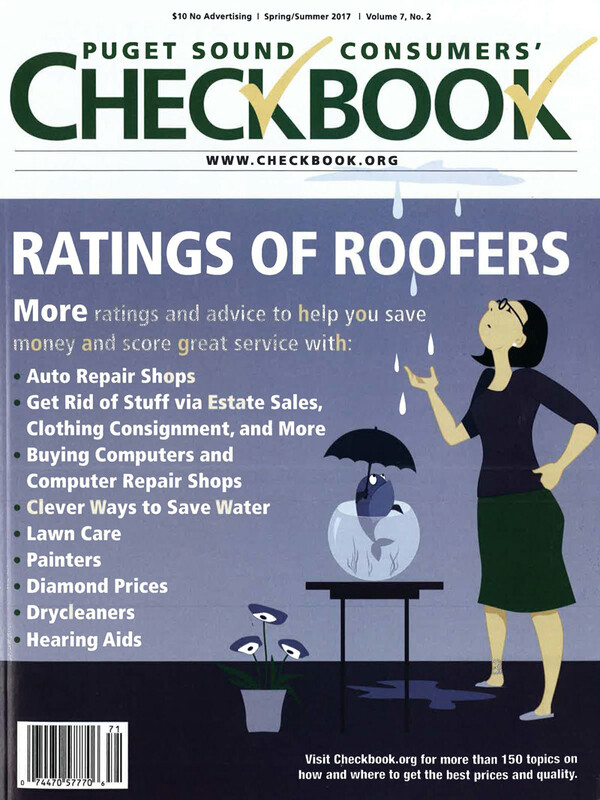 Look for the Puget Sound Consumers’ Checkbook Spring/ Summer 2017 Magazine in the mail with their 2017 Ratings of Roofers. You will find Cornerstone Roofing, Inc. listed on page 66 with the Top Rating for Quality signature check mark from Consumers’ Checkbook and a 98% Rating for “customers who rated company Superior for Overall Quality”! Cornerstone Roofing, Inc.was delighted to receive the Consumers’ Checkbook Top Rating for Quality again this year! Thank you to our customers for their reviews and ratings, and the secret shoppers of Consumers’ Checkbook who wrote the article and requested bids from us. View their article here and our 167 Ratings here.